All members MUST OBTAIN OWN NON-ATHLETIC AAU CARD. This ensures all coaches have passed a background check. 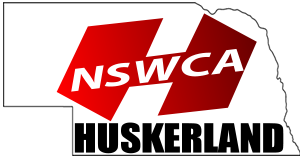 Athletes will receive a reduced athlete entry fee ($35.00) for the Winter Nationals Omaha, NE @ Ralston Arena, Jan 5 & 6, 2019 for NSWCA / Huskerland Club Members. * All athletes and coaches must purchase an AAU membership card, which entitles them to insur-ance (secondary) coverage. Head High School Coach membership includes up to 2 assistant coach memberships. Will you need a binder? Leave blank if you do not have a AAU card # yet.